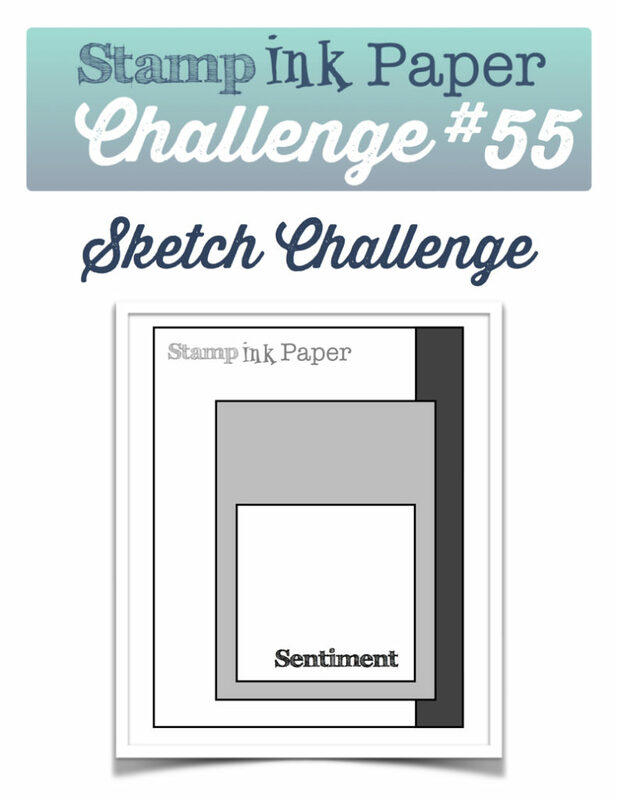 SIP Challenge 55 – A Sketch and Final MMH Sneak Peek! Home / Blog / SIP Challenge 55 – A Sketch and Final MMH Sneak Peek! I trust that you all had a safe and happy 4th of July! I spent most of my day catching up on projects and straightening up the house some more! It feels so good to get back some control over the chaos! I still have a long way to go but I’m getting there! Around 3:30 I headed over to Brian and Kim’s for a small little BBQ with a group of friends. Taylor and Kiera stopped by too! Brian made some really good eats and I had some Innis & Gunn Rum Cask Beer! One of my favorites! I came home at 8:30 to stay with Winston, he hates fireworks and shakes like you wouldn’t believe! And let me tell you, it sounds like a war zone around here from 8:30 until well past midnight usually but the rain started at 11:00 so it ended a little early!! You would never know that fireworks are illegal here! Today is a very busy day here on the blog! I have my SIP post this morning and then a fun Blog Hop at 1:00PM EST to celebrate the release of the July My Monthly Hero Kit! Be sure and come back for that! You are sure to see some of my favorites hopping along! This entry was posted in Blog, Cards, Crafts, Embellishments, Embossing, Hero Arts, My Monthly Hero Kit, Photopolymer, Stamps and tagged Card Making, Crafts, Hero Arts, My Monthly Hero, SIP Challenge. Bookmark the permalink. Mojo Monday 455 & MMH Sneak Peek 4! Hero Arts – My Monthly Hero July Blog Hop! Another cute card, Justin, using the jellyfish and coral. I love the colors today and how you worked with this sketch. The rain came around 7 here but the community fireworks went off as planned, as well as a few strays. That was a good idea to be home to comfort Winston. I think most dogs go crazy during fireworks. Have a great day. Oh my Justin! You sure are having fun with this stamp set. LOL I think that octopus is just the cutest thing. I love the colors and that coral stamp is my favorite of all that you’ve featured from this kit! Fireworks are legal here in Maine. Why I don’t know but my thought is that it’s one more thing for the State to get sales tax from. Last night was quiet but Sunday night people around our area went a little nuts with them. We spend most of the evening outside to make sure none of the sparks from them landed on our garage. Normally we wouldn’t worry about that because our houses are so far apart we can’t actually see another house from ours but the wind was blowing so the sparks were flying everywhere. I’m sure we will hear a report on the news about how many people were injured from them. Greed from the tax collectors really makes me mad. I definitely did have a lot of fun with the stamp sets! I agree, he is a cute little guy! The coral is so cool! There is a lot of it too! They may as well make them legal here, everyone has them! There is shrapnel all over the place here! LOL! I heard the fire whistles a lot last night in between the explosions! Such silly people! Love your card, that kit is so fabulous! I too have dogs that react badly to fireworks. Our oldest is the worst, he actually has been refusing to go outside to potty in the last half of the day even if it is light out. Our second oldest was looking worried. None of them would do anything outside when it was starting to get dark. They just do not like those fireworks. They aren’t legal here either but you’d never know it! Thank you Julia! My poor dog hates the fireworks and thunder. My dog also will not go outside! I fell bad but I have tried so many things and nothing works. And no, you would never know they were illegal here! Aww, poor Winston! My dogs are the same so I stayed home too. It was raining here in Little Egg Harbor but they had fireworks anyway. My husband drove down to see them but didn’t stay because “it was no fun watching from the car”. Your Octopus card is beautiful. Every card you’ve made from this kit is awesome. Yes, poor Winston and your dogs too. I was so happy when the rain started at 11:00, it quieted down immediately! I like to watch them, but don’t like them because of poor Winston. The July kit is awesome, the stamps and dies . The octopus with the one eye looking at you , cute. Gorgeous card. Love the colors. What an awesome kit! LOL, fireworks are not legal here either. Yep, tell that to the folks who live here. I love watching fireworks bt its 1130 and I need to work in the am.. Needless to say, I was a bit tired this am. 0530 comes around pretty quick. But,…I got a NEW JOB!!!!! so excited, better pay, and I decrease my compute by 40 minutes each way! Next Monday cant come quick enough! Anyway…Love this creation! I GOT MY CARD KIT!!!!!! and ts been shipped out. i literally was online at 12noon, CST waiting for the site to open. Of course got the extra octopus and the Mermaid ombre ink pad. Must haves if you ask me. I seriously need a year off just to craft. It really is like a war zone around here Linda! It’s gotten much worse over the past few years. I think that if you want to shoot off fireworks you should have to meet up at a park and do it all together. You got a new job?!?! That’s awesome! Closer is always better!! I’m so happy for you! I can’t wait to get my kit – love these cards!